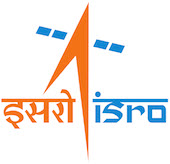 Indian Space Research Organisation (ISRO), Ahmedabad has published a Advertisement for below mentioned Posts 2015. Check below for more details. B.Sc Degree with First Class in Computer Science / Information Technology from recognized University or Institution. Science Graduate with knowledge of Computer Applications in the field of Library & Information Science. Diploma (minimum 3 years duration) in Electrical Engineering (First Class) from recognized Institution / Board / University. Diploma (minimum 3 years duration) in Mechatronics Engineering / Instrumentation & Control Engineering (First Class) from recognized Institution/ Board/ University. Rs. 9300-34800/- + Rs. 4600/- (Grade pay) for the Post Code No. 01, 02, 03 and 04. Rs. 5200-20200 + Rs. 2000/-(Grade pay) for the Post Code No. 05, 06 and 07.